Hello, and thank you for visiting our website. 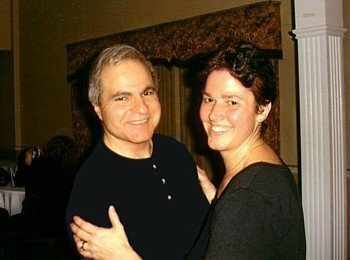 I'm John Scuto and I run Blue Sky Wedding Services along with my wife Cathy. I am a New Hampshire Justice of the Peace, Marriage Celebrant, and legally Ordained Minister. In a past life (Mid 90's - early 2000's) Cathy and I were Wedding Ceremony and Reception MCs, Disc Jockeys and Coordinators (Some of you may remember us as Great Occasions Wedding Services). 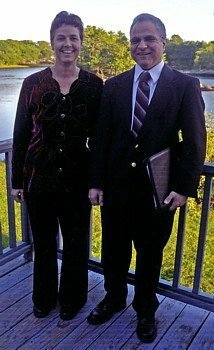 In 2000, I became a NH Justice of the Peace, and began performing wedding ceremonies as part of our services. 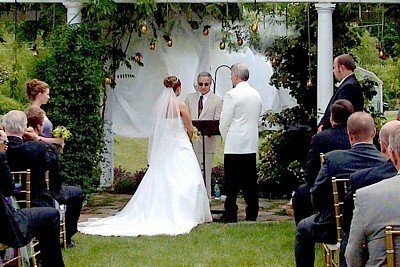 Cathy transitioned from a Reception Coordinator to a Wedding Ceremony Coordinator, and now we focus entirely on the Wedding Ceremony, helping our bridal couples to create unique and memorable Marriage events! On your big day we can perform the Ceremony and coordinate the entire event to your expectations! In addition to being a Justice of the Peace, Marriage Celebrant, and Interfaith Wedding Minister, I am also a Professional Career Counselor maintaining a private practice helping individuals to change careers. I hold a Master's Degree in Counseling with a focus on Spirituality and a Certificate of Advanced Graduate Study in Education. I taught at the college level and in business and industry for many years. One of my favorite parts of being a Marriage Celebrant is assisting our couples in putting their Ceremonies together and then getting the chance to perform the Weddings I help create. I especially like being able to pronounce our couples officially "married!" Cathy is not only a Wedding Ceremony Coordinator and NH Justice of the Peace, but she is also a Bookkeeper and Seamstress. Cathy runs her own part-time business making quality handmade items for pets, and selling other pet related gifts. One of Cathy's greatest strengths is organization. She enjoys helping our couples to organize things at their Rehearsals, and loves to see everything go as planned on their big day. Every couple is unique and, just as every couple is unique, so should every Wedding Ceremony be unique. It's our belief that your Ceremony should reflect who you are and what you believe in both as individuals and as a couple. And, the best way to achieve this is to allow you to play an important role in putting your Ceremony together. Our experience has shown us that if you are like most of the couples we work with, you will know, intuitively, what is right for you. Toward that end, we give you the instructions and materials for putting together a great Wedding Ceremony, we keep ourselves available for help and questions, and we then give you free reign to create the Ceremony of your dreams. As a result, the Ceremony we preside over will be a wonderful reflection of your personalities, backgrounds, values, and beliefs. In the end, it will have so much more meaning for you, your families, your guests, and yes, even for us! Why The Name "Blue Sky" Wedding Services? Well, we thought about keeping the name "Great Occasions" but we always considered that to be more related to Disc Jockeying and the Reception. Since we had changed our focus to the Ceremony, we decided to change the business name also. After considering numerous possibilities, we settled on Blue Sky because of its positive connotation. You may have heard of the song with the lyrics "...nothing but blue skies from now on...". It means that there will be nothing but good things happening from that day forward. Since that is our wish for all the couples we marry, we felt it was a wonderful name for the business, and thus, "Blue Sky" Wedding Services was born. As an aside, we were also hoping that the name would, in some mysterious way, transfer its energy so that we would have nothing but blue skies for all the Weddings we perform outdoors. We don't want to say anything too loud... (whisper) but it may be working!!! We like to feel we're changing New Hampshire, Massachusetts, and Maine... one great Ceremony at a time!